If you have been reading my blog for long enough you will know that I am Pandora obsessed. I recently got sent this beautiful birth stone ring that has a cool blue toned grey stone set in it. I love the simplicity yet intricacy of the birth stone rings. My boyfriend bought me the May birth stone ring which is an emerald green colour stone so I knew I would love this ring just as much. If you want a Pandora Ring Collection post let me know in the comments. That ring is beautiful I love it! 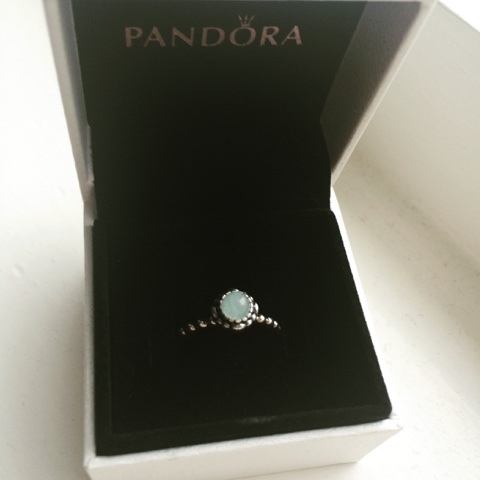 This is such a gorgeous ring - love the colour!